EDIT: Avon ended the Avon Walk for Breast Cancer in 2017. This weekend the San Francisco Bay Area is focused on protecting your breasts. The Avon Walk for Breast Cancer: San Francisco and Breastfest are both happening today at Fort Mason. The Avon Walk for Breast Cancer: San Francisco kicks off this morning. 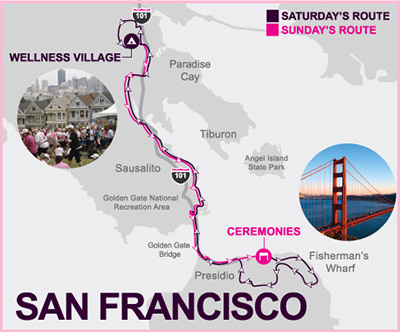 It is one of the most scenic breast cancer walks available, incorporating North Beach, my home during my Plastic Surgery residency, as well as Pacific Heights, Fisherman’s Wharf, the Ferry Building, the Presidio, the Golden Gate Bridge, Sausalito and the Marin countryside. Saturday’s route is 23.8 miles and the walk continues on Sunday with another 15.5 miles. An optional 2.5 mile additional loop is available for those who want to walk a full marathon before recuperating at the Wellness Village, located at the base of Mount Tamalpais. More than 192,000 Avon Walk participants have raised donations of over $500 million to breast cancer programs since 2003. The dollars are used both nationally and locally to help in the research, diagnosis and treatment of breast cancer. Today’s event promotes healthy activities and supports patients, centers and treatments alike. The event funds safety net hospitals and provides access for those who may not otherwise be able to afford, or understand, the complexities of breast cancer treatment. 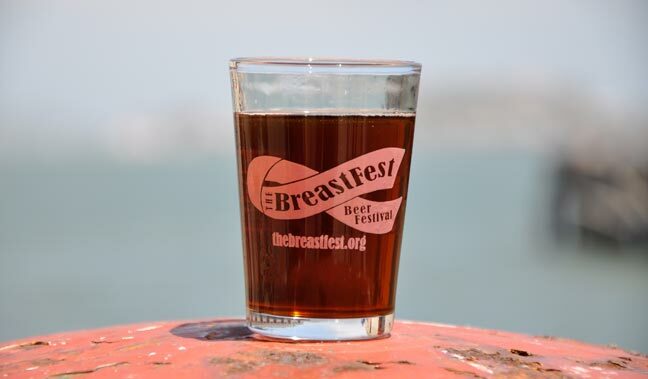 BreastFest 2014 Kicks off in Fort Mason Center at 2 PM – 6 PM today. If you prefer a cold brew to a long walk, an alternative is available. In fact, this complementary event supports complementary approaches to Breast Cancer Treatment. BreastFest has been supporting the Charlotte Maxwell Complementary Clinic since 2000. The first Brewfest was held in Marin County, CA, hosting 16 local breweries. The 2014 event is expected to have more than 80 breweries supporting the cause. The 2013 event raised over $40,000.